Test the conditions of local soil with this heavy-duty probe. 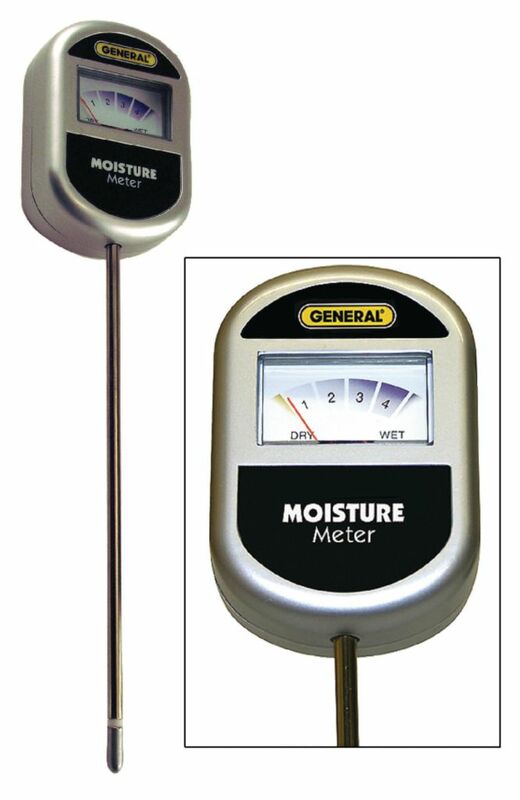 Instant readings are given for moisture content, and no batteries are required for operation. A plant water chart is also included. Size: 10"W x 21/4"H x 1"D.